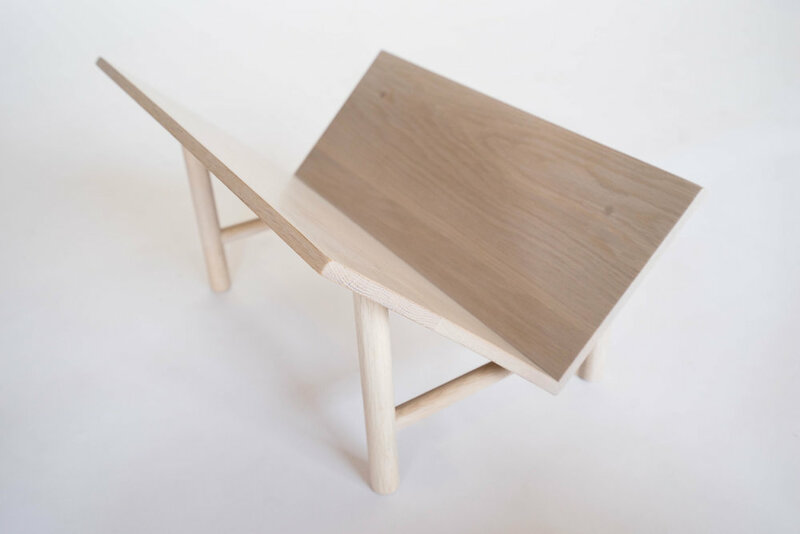 The Rise Bookstand is a minimalist bookstand designed and created by Sun at Six, a Brooklyn-based design studio. Sun at Six specialises in ancient Chinese woodworking technique and have worked with many families, artisans and traditional joinery masters over the years from Guangzhou, China for over 20 years. Their work, which offers a glimpse into the long history of skill and craftsmanship, has been featured within the walls of the Forbidden City. Using intricate, interwoven joinery the designers work within the traditional realm of classical Chinese joinery. This fading tradition and art form has been passed down from generation to generation. The level of skill is out of this world and the results are stunning. The intricate joinery means they do not use any nails or screws within their pieces. 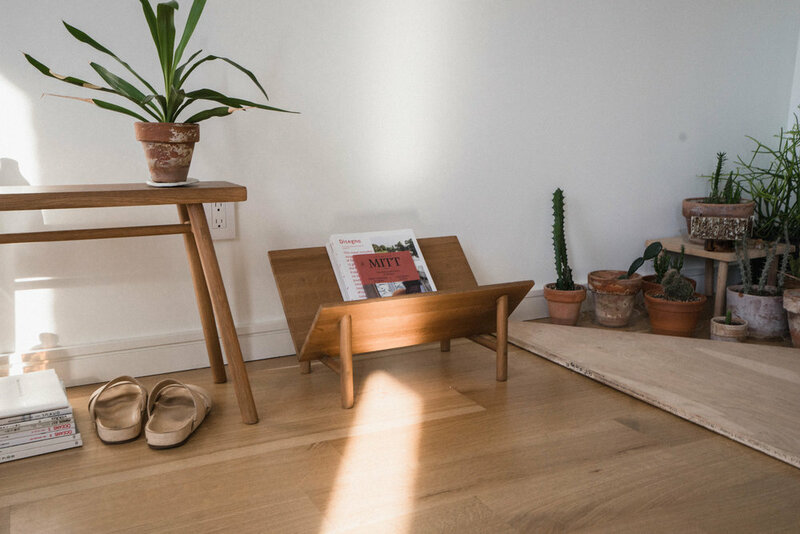 This particular piece, the Rise Bookstand, is a floating stand that can house books or records. 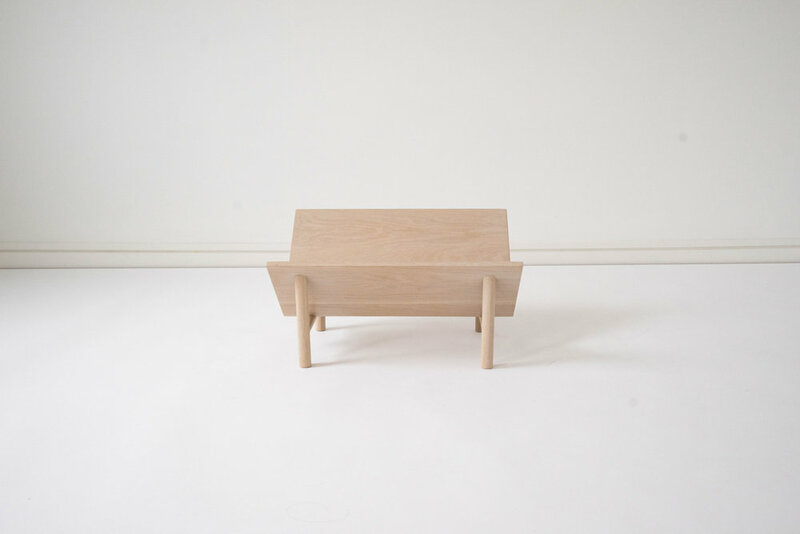 The wide wooden panels showcase the elegant grain of the white oak which has been hand rubbed in tung oil.